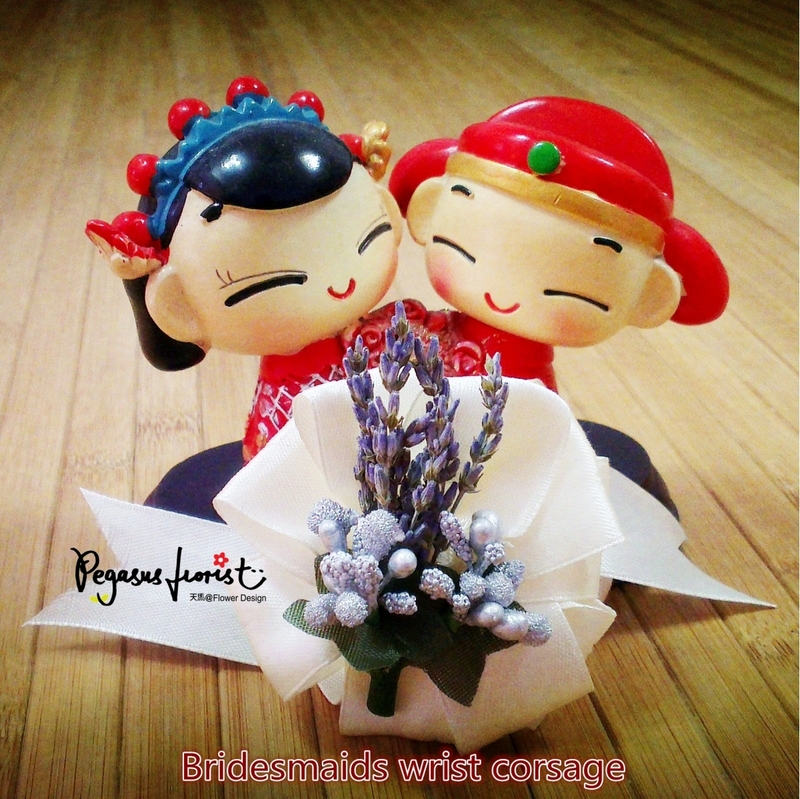 Lavender Bridesmaids & Groomsmen Set – Pegasus Florist - Naturally Dried Lavender in Malaysia! You will get lavender bridesmaids wrist corsage x 5, lavender groomsmen corsage x 5. 3. I have more than 5 bridesmaids and/or groomsmen. How? Add on is possible. Just drop us an email at pegasusflorist@gmail.com. 4. How early shall I place the order? 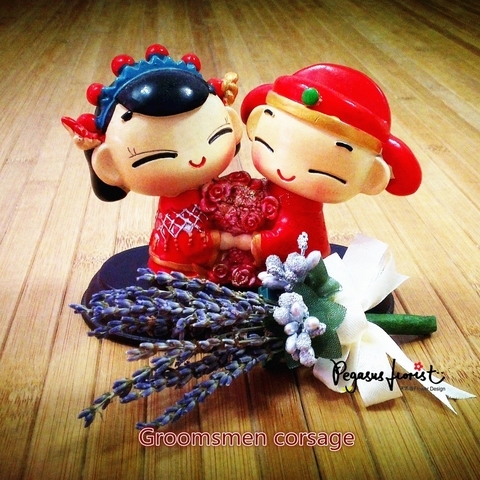 For lavender bridesmaids & groomsmen set, we recommend you to order from us 2 weeks in advance. Just in case there is a problem during shipping, we will have time to react. This doesn't happen, but with weddings it is better to be safe than sorry. 5. How many days do you need to process my order? 6. There are drop of lavender buds when I open the box. Is it normal? Due to the characteristic of dried lavender, it is normal to have little drop during the transportation. Rest assured that the corsages will be carefully packaged to ensure they reach you in good condition. 7. I can no longer smell the lavender scent on my big day. Why? 8. What should I do then?